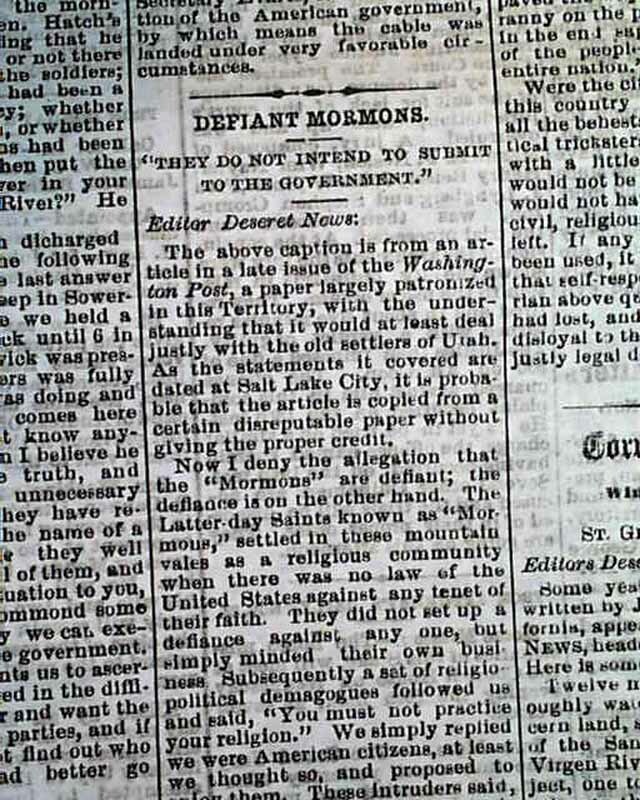 THE DESERET NEWS, Salt Lake City, Utah, Nov. 26, 1879 This newspaper was published 17 years before it became a state. 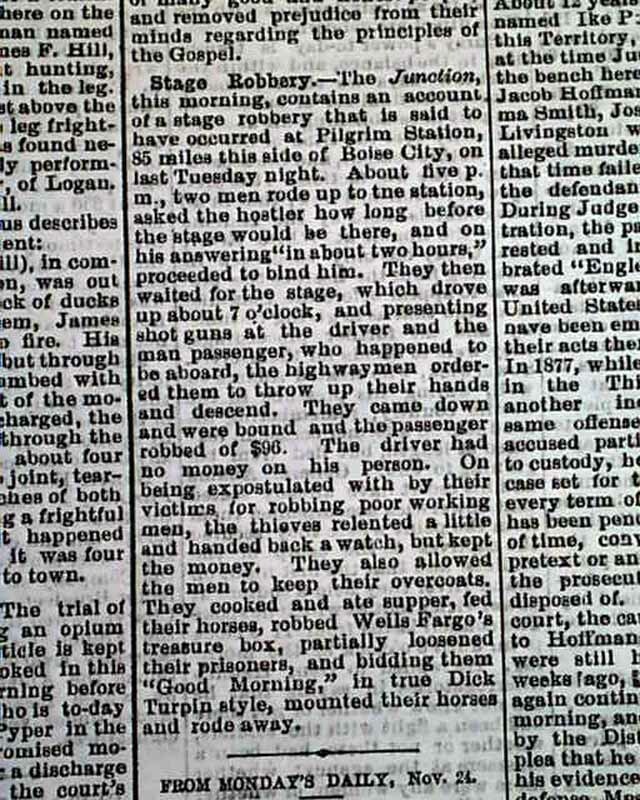 Included is an interesting report concerning a stagecoach robbery (see). 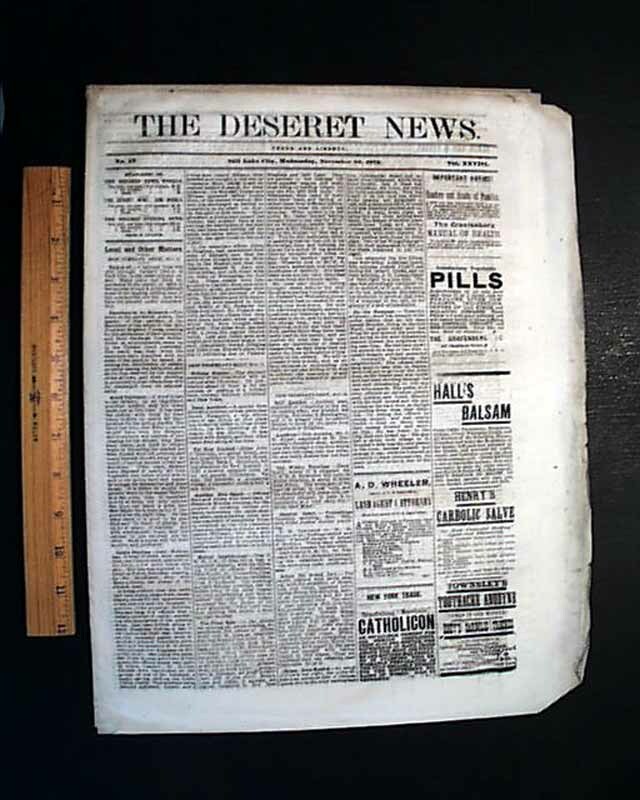 Also Mormon-related items, with articles headed: "The Mormons And The Indians" & "Sugar Made In Utah" "Murder" and "Discourse Delivered by Elder Geo. 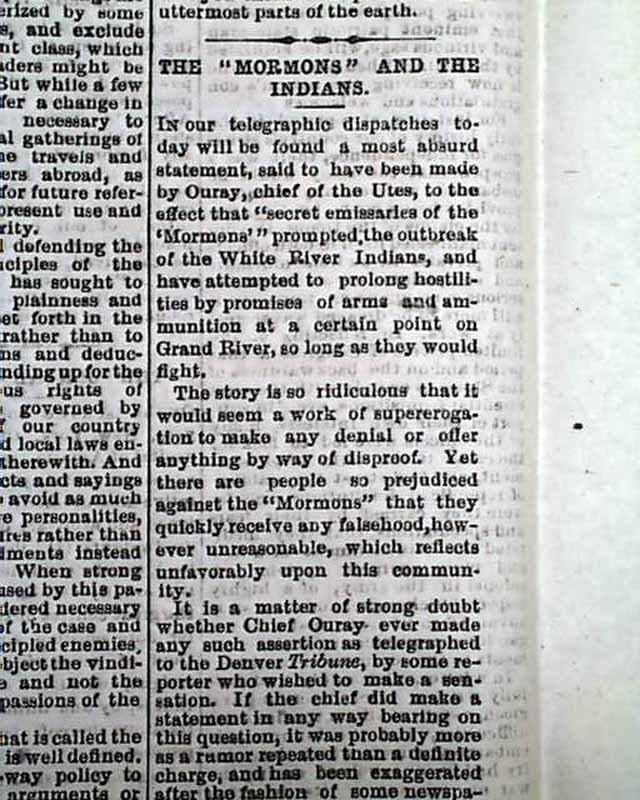 Q. Cannon at the Tabernacle, Salt Lake City...". 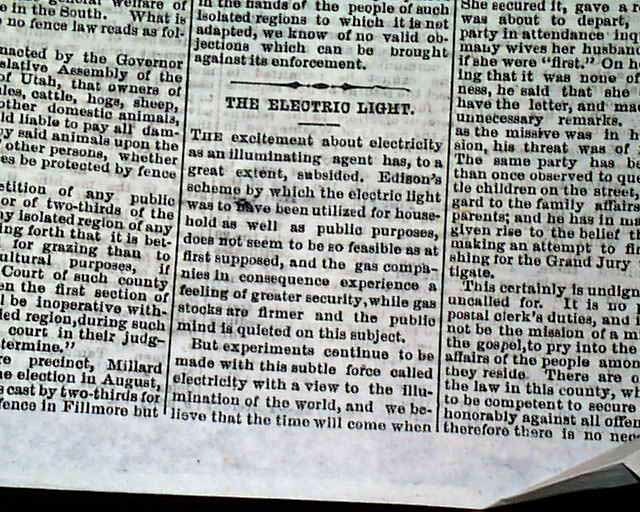 "The Electric Light" is interesting, mentioning: "The excitement about electricity as an illuminating agent has, to a great extent, subsided. 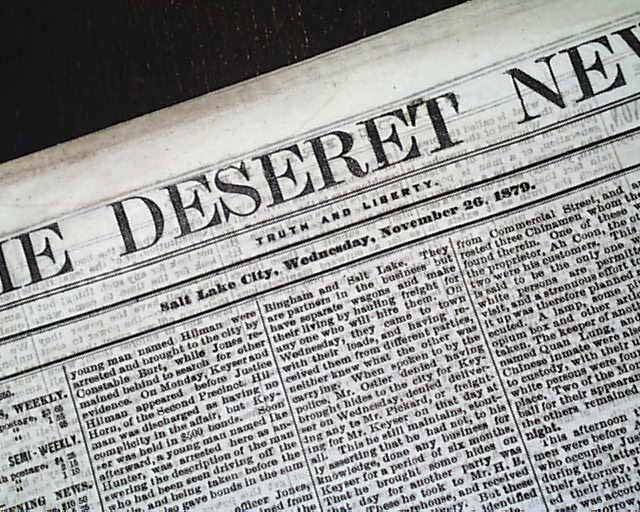 Edison's scheme by which the electric light was to have been utilized for household as well as public purposes does not seem to be so feasible as at first supposed..." with much more, taking close to a full column. Sixteen pages, 13 by 17 inches, never bound nor trimmed, some dirtiness and minor edge wear, generally in nice condition.